Discussion Use Select Variants on a gnomAD vcf for Mutect2 contamination filtering. I am trying to follow this set of steps to use the mutect2 wdl from the Broad. In that file, it is recommended to make a variants_for_contamination file, to filter out contaminating reads. and getting the vcf for exomes, as I believe was instructed. 02:50:36.341 WARN IndexUtils - Index file /mnt/gnomad.exomes.r2.0.2.sites.vcf.bgz.tbi is out of date (index older than input file). Use IndexFeatureFile to make a new index. [December 16, 2017 2:50:36 AM UTC] org.broadinstitute.hellbender.tools.walkers.variantutils.SelectVariants done. Elapsed time: 0.04 minutes. Set the system property GATK_STACKTRACE_ON_USER_EXCEPTION (--javaOptions '-DGATK_STACKTRACE_ON_USER_EXCEPTION=true') to print the stack trace. I have no idea what is going on here. I am just trying to follow the instructions to use the provided wdl. I thought you might be interested in how our developer preps these Mutect2 workflow files. They have placed a WDL script of the workflow to prep these and they will soon be at https://github.com/broadinstitute/gatk/tree/master/scripts/mutect2_wdl. The script is called mutect_resources.wdl and will become available when this issue is merged. java -jar /gatk/gatk.jar SelectVariants -V af-only-gnomad.raw.sites.b37.vcf.gz -L 1 -O variants_for_contamination.vcf -R Homo_sapiens_assembly19.fasta --select "AF>0.05"
`[email protected]:/mnt# java -jar /gatk/gatk.jar SelectVariants -V af-only-gnomad.raw.sites.b37.vcf.gz -L 1 -O variants_for_contamination.vcf -R Homo_sapiens_assembly19.fasta --select "AF>0.05"
[December 17, 2017 10:14:13 PM UTC] org.broadinstitute.hellbender.tools.walkers.variantutils.SelectVariants done. Elapsed time: 0.02 minutes. Ok, I think I figured this out: it appears that SelectVariants has an undocumented bug that does not allow it to be applied to VCF with multi-allelic sites, like are in all of the gnomad files. So these need to be split with, say, bcftools norm -m . Then things appear to be working. Does that agree on your side? That sounds like it could be the case as I do use bcftools norm myself to get around the multiallelic issue. Sorry to inform you after all of your efforts but there is an already processed gnomad file for use towards contamination estimation. It is under beta>GetPileupSummaries. Do you think it would be helpful for the file small_exac_common to be moved to under beta>Mutect2 instead? Hi @shlee I think it would likely help to have it in the mutect2 folder (and maybe with a pointer in the docs to it to say what it can be used for). 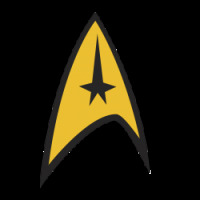 Another question (somewhat related, fine asking a new question if necessary): some of these scripts require a "common sites" file in the style of picard. Is there an easy way to convert small_exac_common to work with these programs, like CollectAllelicCounts? Or is there a pre-generated list that would work? Our workshop tutorial that covers Mutect2 describes these files. We've yet to put these on the forum or include READMEs for these beta workflows. I've made a copy of the GetPileupSummaries folder in the Mutect2 folder to help users like yourself. To convert a VCF to a Picard-style intervals list, use Picard IntervalListTools. You can also try providing the VCF directly through the -L param. Most GATK tools know to access the VCF coordinates as intervals. I think last I checked CollectAllelicCounts did not but perhaps this has been updated. @Geraldine_VdAuwera understood. I think the WDL provided above will help a lot. In general we work on our own cloud (still GCP) to have tight integration with downstream workflow, but FireCloud is an amazing resource. I have "borrowed" a non-trivial amount of code from WDLs found there.